Before you have cosmetic surgery, it is always recommended to check the qualifications and the experience of your surgeon. If you wish to learn more about the qualifications of our own Dr Daniel Lanzer, please read the information provided by the Dr Lanzer Clinic below. What Education Did Dr Daniel Lanzer Get? Dr Lanzer has an impressive track record where education is concerned. Firstly, he obtained an MBBS (Honours) qualification at the Monash University; this is a bachelor in medicine as well as a bachelor in surgery. The MBBS qualification is provided upon completion of medical school. However, Dr Lanzer does not only have an MBBS qualification, since he is also a specialist dermatologist. What Is Dr Lanzer’s Main Experience in Cosmetic Surgery? Dr Lanzer has several decades of experience in cosmetic surgery; this includes cosmetic laser treatments and liposuction surgery. 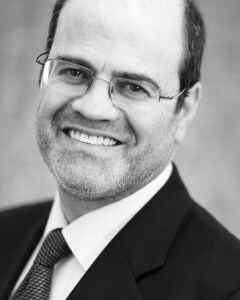 Dr Lanzer has also been involved in the development and introduction of the latest cosmetic surgery techniques; this includes tumescent liposuction. What Is the Curriculum of Dr Daniel Lanzer? Does He Belong to Any Societies? Given Dr Lanzer’s experience and extensive involvement with the introduction of various treatments, Dr Lanzer has quite an extensive curriculum. To provide you with a comprehensible overview, we have summarised his achievements in a bullet point list below. – The Australasian College of Dermatology (FACD): Dr Lanzer is the liposuction representative of the surgical subcommittee of this college. – Organiser and founder of the Annual Winter Surgical Conference in Victoria. – Dr Lanzer provides frequent lectures on various aspects of cosmetic surgery during college meetings. – The American Academy of Cosmetic Surgery: Dr Lanzer is a regular guest lecturer on the safety of large volume liposuction, new female breast reduction methods, and suture lifts of the face. – The Australian Division of the International Society of Cosmetic Laser Surgeons: Dr Lanzer was one of the first fellows and co-conveners of the first conference, which had cosmetic laser surgery as a subject. – The American Academy of Dermatology: Dr Lanzer is a guest lecturer on the safety of large volume liposuction, new female breast reduction methods, and suture lifts. – The Denver Society Conference: Dr Lanzer was a guest speaker at this conference and spoke about the latest developments in cosmetic surgery. – The Australasian Academy of Facial Plastic Surgery: Dr Lanzer has lectured at natural meetings on cosmetic procedures. How Can I Make an Appointment with Dr Lanzer for Surgery? Patients can make an appointment with Dr Lanzer by contacting our friendly team of receptionists via telephone. Alternatively, patients can book an appointment via email or the website contact form.